Llamas are a member of the camelid family, native to South America. They were domesticated by the Incas 6,000 years ago as sure-footed beasts of burden, able to tread narrow paths in the Andes mountains. Llamas vary in size, weight, and color, standing between 5 and 7 feet tall at the top of the head; weighing from 250 to over 400 pounds; and sporting colors from pure white to pure black, with all sorts of greys and browns in between, in a dazzling array of patterns. Their fleece, aka fiber, can be sheared every year or two, and can be used to make outerwear clothing, rugs, blankets, etc. In the USA, several distinct types of llamas have been bred since large-scale importation began in the 1980's. These are: classic, wooly, silky, and suri. 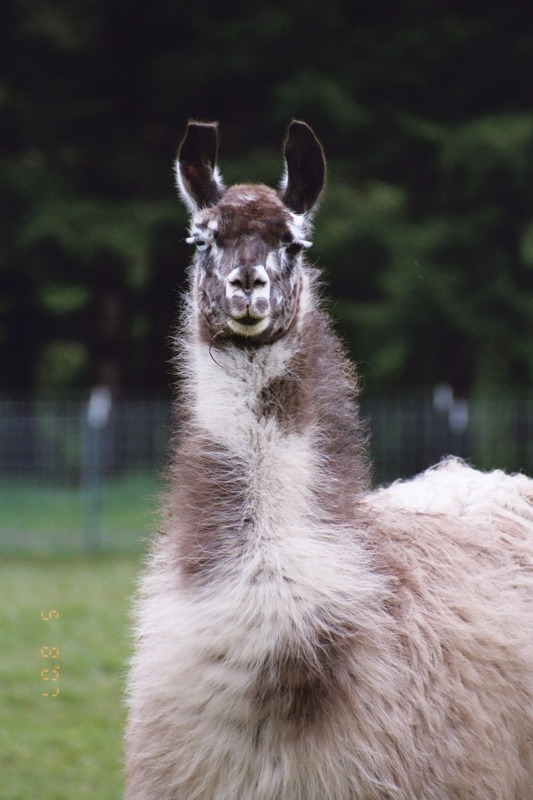 Classic llamas are most often used for packing on trails, and have a double coat of coarse guard hairs and a soft undercoat, which grows to a few inches in length and then stops. They shed and need frequent brushing to collect their wool, and need not be sheared. They tend to have long hair on the body and short hair on their legs, which makes them look something like haystacks on stilts. Wooly, silky, and suri llamas are single-coated, mostly lacking the coarse guard hairs of the old-fashioned "classic" pack llamas. Their fleece never stops growing, so they should be sheared every year or two to prevent matting of the fiber as well as overheating the animal. They tend to have straighter noses and longer hair between the ears and at least part way down the legs. 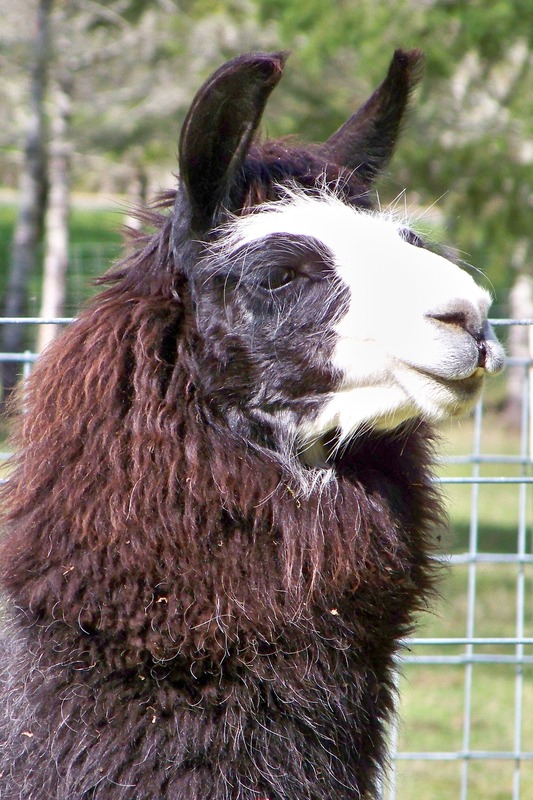 Wooly llamas can have light, medium, or heavy fleeces (which refers to the relative abundance of fiber) with minimal locking, curl, or crimp (crimp is highly valued in alpaca fiber). Their fleece, when several inches long, shows considerable "loft," or fluffiness, and is not as slick or shiny as silky or suri llamas. Silky llamas have some curl to their hair, which is finer, shinier, and tends to form locks, with less loft to the fleece than woolies. 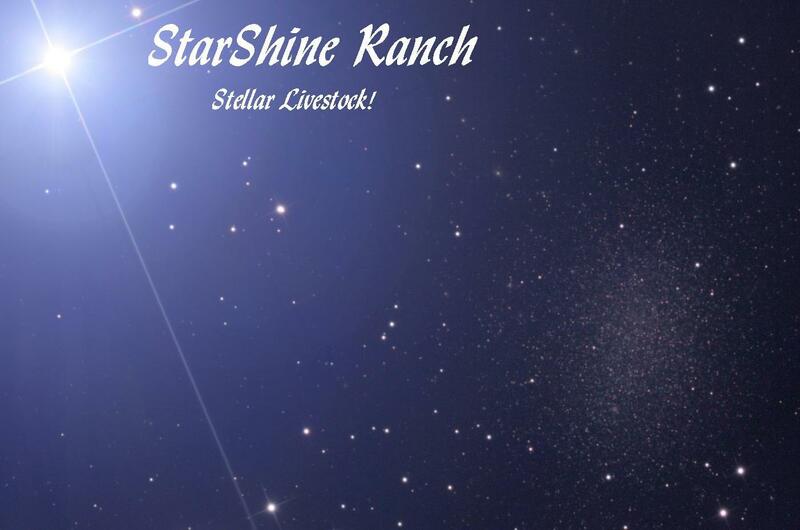 Unfortunately, these characteristics seem to catch and hold more pasture debris than classic or wooly llamas, especially when they are not sheared, or only barrel sheared (a popular style), for several years. The curl and locks tend to disappear when they are cleaned and groomed for showing. 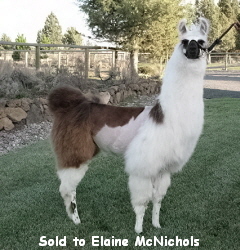 Suri llamas have extreme slickness, shine, curl, locks, and lack of loft to their fleece. The name "suri" (pronounced "surrey") originally applied only to alpacas. Some people think that cross-breeding between llamas and alpacas produced the first suri "llamas." After that, selective breeding accentuated this type of fleece. 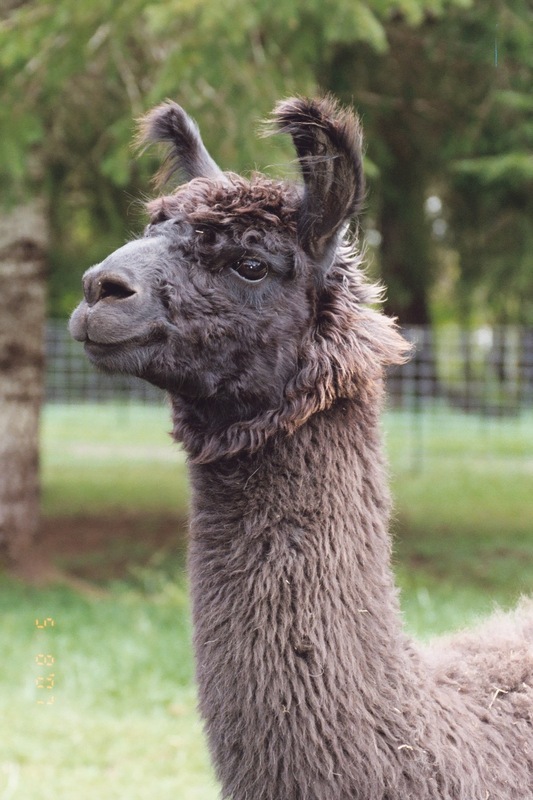 One way to tell llamas from alpacas (besides larger size) is their banana-shaped, long ears. Alpaca ears are smaller and straight.